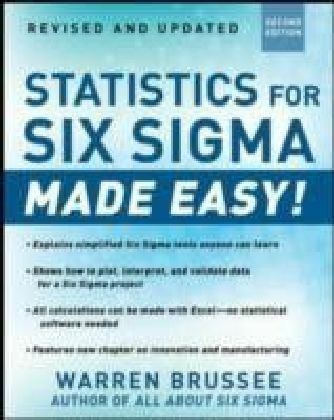 This chapter is from Statistics for Six Sigma Made Easy, a simple guide to using the powerful statistical tools of Six Sigma to solve real-world problems. Warren Brussee, a Six Sigma manager who helped his teams generate millions of dollars in savings, shows how to plot, interpret, and validate data for a Six Sigma project. 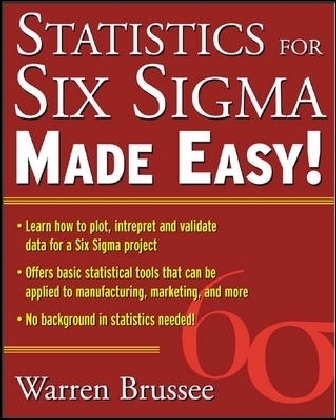 The basic statistical tools in the book can be applied to manufacturing, sales, marketing, process, equipment design, and more. Best of all, no background in statistics is required to start improving quality and initiating cost-saving improvements right away.